Xuanwu was an emperor of the Xianbei dynasty of Northern Wei (499-515). He is known within China as Beiwei Xuanwudi (北魏宣武帝). He was born Tuoba Ke, but later changed his surname so that he became Yuan Ke. During Xuanwu's reign, Northern Wei appeared, outwardly, to be at its prime, but there was much political infighting and corruption, particularly by Xuanwu's uncle Gao Zhao. An official history is a work of history which is sponsored, authorised or endorsed by its subject. The term is most commonly used for histories which are produced for a government. The term also applies to commissions from non-state bodies as company histories, i.e. histories of commercial companies. An official biography is often known as an authorized biography. Erzhu Rong (爾朱榮), courtesy name Tianbao (天寶), formally Prince Wu of Jin (晉武王), was a general of the Chinese/Xianbei dynasty Northern Wei. He was of Xiongnu ancestry, and after Emperor Xiaoming was killed by his mother Empress Dowager Hu in 528, Erzhu overthrew her and put Emperor Xiaozhuang on the throne, but at the same time slaughtered many imperial officials and took over most of actual power either directly or through associates. He then contributed much to the rebuilding of the Northern Wei state, which had been rendered fractured by agrarian rebellions during Emperor Xiaoming's reign. However, in 530, Emperor Xiaozhuang, believing that Erzhu would eventually usurp the throne, tricked Erzhu into the palace and ambushed him. Subsequently, however, Erzhu's clan members, led by his cousin Erzhu Shilong and nephew Erzhu Zhao, defeated and killed Emperor Xiaozhuang. 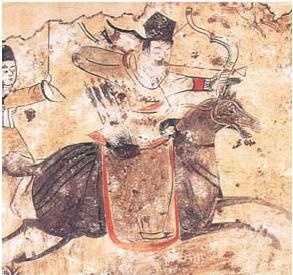 He was often compared by historians to the Han Dynasty general Dong Zhuo, for his ferocity in battle and for his violence and lack of tact. Amnesty is defined as: "A pardon extended by the government to a group or class of people, usually for a political offense; the act of a sovereign power officially forgiving certain classes of people who are subject to trial but have not yet been convicted." It includes more than pardon, inasmuch as it obliterates all legal remembrance of the offense. Amnesty is more and more used to express "freedom" and the time when prisoners can go free. Yuan Zhao (元釗), also known in history as Youzhu, was briefly an emperor of the Xianbei dynasty Northern Wei. Emperor Xiaoming of Northern Wei ( 魏孝明帝), personal name Yuan Xu (元詡), was an emperor of the Xianbei dynasty Northern Wei (386–535). He ascended the throne in the age of five (515), so governmental matters were dominated by his mother Empress Dowager Hu. In 528, Emperor Xiaoming tried to curb his mother's powers and kill her lover Zheng Yan (鄭儼) by conspiring with the general Erzhu Rong. As a result, 18-year-old emperor was poisoned by his mother, who was soon overthrown by Erzhu. From that point on, Northern Wei royal lineage had no actual power. The next ruler, Emperor Xiaozhuang (507–531) was established by Erzhu. Since Erzhu's rival, general Gao Huan, enthroned another royal offspring, the country was soon split in two rival polities, Eastern and Western Wei, both of which did not hold long on the political map of the Southern and Northern Dynasties. Yuan Yong (元雍), né Tuoba Yong (拓拔雍), courtesy name Simu (思穆), formally Prince Wenmu of Gaoyang (高陽文穆王), was an imperial prince of the Chinese/Xianbei dynasty Northern Wei. He was very powerful during the reign of his grandnephew Emperor Xiaoming, and by corrupt means grew very rich. This, however, drew resentment from the populace, and after Emperor Xiaoming's death in 528 and the subsequent overthrowing of Emperor Xiaoming's mother Empress Dowager Hu by the general Erzhu Rong, Erzhu had him and over 2,000 other officials slaughtered at Heyin. Emperor Xiaozhuang of Northern Wei, personal name Yuan Ziyou, was an emperor of China of the Northern Wei, a Xianbei dynasty. He was placed on the throne by General Erzhu Rong, who refused to recognize the young emperor, Yuan Zhao, who Empress Dowager Hu had placed on the throne after she poisoned her son Emperor Xiaoming. Empress Erzhu Ying'e (爾朱英娥) was an empress of the Chinese/Xianbei dynasty Northern Wei. She was the wife of Emperor Xiaozhuang and a daughter of the paramount general Erzhu Rong. She later became a concubine of Northern Wei and Eastern Wei's paramount general Gao Huan. Empress Erzhu (爾朱皇后) was briefly an empress of the Chinese/Xianbei dynasty Northern Wei. Her husband was Yuan Ye, also known as the Prince of Changguang. Yuan Hao (元顥), courtesy name Ziming (子明) was an imperial prince and pretender to the throne of the Chinese/Xianbei dynasty Northern Wei, who briefly received allegiance from most of the provinces south of the Yellow River after he captured the capital Luoyang with support of neighboring Liang Dynasty. He became complacent after capturing Luoyang, however, and when the general Erzhu Rong, who supported Emperor Xiaozhuang, counterattacked later that year, Yuan Hao fled Luoyang and was killed in flight. Emperor Jiemin of Northern Wei ( 魏節閔帝), also known as Emperor Qianfei (前廢帝), at times referred to by pre-ascension title Prince of Guangling (廣陵王), personal name Yuan Gong (元恭), courtesy name Xiuye (脩業), was an emperor of Northern Wei. He became emperor after the clan members of the paramount general Erzhu Rong, after Erzhu Rong was killed by Emperor Xiaozhuang, overthrew Emperor Xiaozhuang. Emperor Jiemin tried to revive the Northern Wei state, but with his power curbed by the Erzhus, was not able to accomplish much. After the general Gao Huan defeated the Erzhus in 532, Emperor Jiemin was imprisoned by Gao and subsequently poisoned to death by Emperor Xiaowu, whom Gao made emperor. Erzhu Shilong (爾朱世隆) (500–532), courtesy name Rongzong (榮宗), was an official of the Chinese/Xianbei dynasty Northern Wei. He first became prominent when after his cousin Erzhu Rong overthrew Emperor Xiaoming's mother Empress Dowager Hu and made Emperor Xiaozhuang emperor. Later, when Emperor Xiaozhuang killed Erzhu Rong in 530, Erzhu Shilong participated in the counterattack that overthrew Emperor Xiaozhuang, and thereafter controlled the imperial government during the reign of Emperor Jiemin. When the general Gao Huan, in turn, rebelled in response to Emperor Xiaozhuang's death, the officials in the imperial capital Luoyang rebelled against the Erzhus, and Erzhu Shilong was executed after failing to flee Luoyang. Erzhu Tianguang (496–532) was a general of the Chinese/Xianbei dynasty Northern Wei. He became a major general during the reign of Emperor Xiaozhuang, when his father's cousin Erzhu Rong was the paramount general of the state. He was renowned for pacifying the Guanzhong region, which had been seized by agrarian rebel generals Moqi Chounu (万俟醜奴) and Wang Qingyun (王慶雲) in 530. He thereafter tried to maintain a relatively distant profile from the other Erzhu clan members, particularly after Emperor Xiaozhuang killed Erzhu Rong later in 530 and then was overthrown and killed by Erzhu Rong's nephew Erzhu Zhao and cousin Erzhu Shilong. In 532, after the other Erzhus had suffered defeats at the hand of the rebelling general Gao Huan, Erzhu Tianguang tried to come to their aid, but was also defeated by another general who rebelled, Husi Chun, and Gao executed him. Empress Gao was an empress of the Chinese/Xianbei dynasty Northern Wei. Her husband was Emperor Xiaowu. Empress Ashina (551–582) was an empress of the Chinese/Xianbei dynasty Northern Zhou. She was the daughter of Göktürk's Muqan Qaghan, and her husband was Emperor Wu. Empress Dowager Chinu, formally Empress Xuan, was an empress dowager of the Chinese/Xianbei dynasty Northern Zhou. She was the mother of Emperor Wu. Li Ezi, later Buddhist nun name Changbei (常悲), was an empress dowager of the Chinese/Xianbei dynasty Northern Zhou. She was the mother of Emperor Xuan. Empress Fu was an empress consort and empress dowager during the Later Zhou dynasty. She was a daughter of general Fu Yanqing and a younger sister of Empress Xuanyi, who was married to the Later Zhou emperor Guo Rong from 951 or so to 956. Guo Rong had been without a wife ever since Empress Xuanyi's death in 956, and he married the younger Fu in July 959 when he fell critically ill. The marriage was clearly political and most likely not consummated: Guo Rong died 10 days later and was succeeded by his 6-year-old son Guo Zongxun. Empress Dowager Fu as his guardian became the regent. ↑ Chen (陳), Junqiang (俊強); Gao (高), Mingshi (明士) (2005). 皇恩浩蕩: 皇帝統治的另一面 [Infinite Royal Graciousness: The Other Side of an Emperor's Reign] (in Chinese). Wu-Nan Book Inc. (五南圖書出版股份有限公司). p. 305. ISBN 9571139947 . Retrieved 2014-05-25. ↑ Lei (雷), Haifeng (海锋) (2013). 历代经典文丛——处事绝学 [Ancient Classics – Secrets of doing things] (in Chinese). Green Apple Data Center. p. 302. Retrieved 2014-05-25. ↑ 历史上短命的皇帝有哪些 [Short-lived emperors in history]. Shangdu.com (in Chinese). Henan Culture Web (河南文化网). 2013-07-16. Archived from the original on 2013-12-02. Retrieved 2013-11-17. 1 2 Imz (2007-09-21). "Ups and Downs of Empress Dowager Hu of the Northern Wei Dynasty". www.womenofchina.cn. Retrieved 2013-11-20. ↑ Book of Wei , vol. 13, "Biographies of Empresses" (後改令稱詔，羣臣上書曰陛下，自稱曰朕). ↑ Book of Wei , vol. 13, "Biographies of Empresses" (太后自以行不修，惧宗室所嫌，于是内为朋党，防蔽耳目，肃宗所亲幸者，太后多以事害焉). ↑ Book of Wei , vol. 13, "Biographies of Empresses" (时太后得志，逼幸清河王怿，淫乱肆情，为天下所恶). ↑ LAU Lai Ming; Priscilla Ching-chung (2007). "Hu, Consort of Emperor Xuanwu of Northern Wei". In Lily Xiao Hong Lee; A. D. Stefanowska (editors-in-chief). Biographical Dictionary of Chinese Women: Antiquity Through Sui, 1600 B.C.E.-618 C.E. M.E. Sharpe Inc. p. 298. ISBN 978-0-7656-1750-7. ↑ Book of Wei , vol. 13, "Biographies of Empresses" (时太后得志，逼幸清河王怿，淫乱肆情，为天下所恶...于禁中杀怿...胡氏多免黜...母子之间，嫌隙屡起). ↑ Zizhi Tongjian , vol. 152 (密诏荣举兵内向，欲以胁太后). ↑ Book of Wei , vol. 13, "Biographies of Empresses" (郑俨虑祸，乃与太后计...). 1 2 Zizhi Tongjian , vol. 152 (乙丑，魏潘嫔生女，胡太后诈言皇子). ↑ Book of Wei , vol. 9, "Basic Annals of Suzong IX" (乙丑...皇女生，祕言皇子). ↑ Zizhi Tongjian , vol. 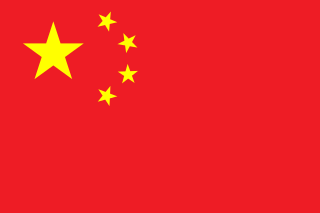 152 (丙寅，大赦，改元武泰). ↑ Book of Wei , vol. 13, "Biographies of Empresses" (母子之间，嫌隙屡起。郑俨虑祸，乃与太后计，因潘充华生女，太后诈以为男，便大赦改年). 1 2 Book of Wei – Biographies of Empresses – Biography of Empress Ling (太后乃奉潘嫔女言太子即位). ↑ Zizhi Tongjian , vol. 152 (潘充华本实生女，故临洮王宝晖世子钊，体自高祖，宜膺大宝。百官文武加二阶，宿卫加三阶). ↑ Zizhi Tongjian , vol. 152 (甲寅，太后立皇女为帝...乙卯，钊即位). 1 2 Zizhi Tongjian , vol. 152 (钊始生三岁，太后欲久专政，故贪其幼而立之). ↑ Zizhi Tongjian , vol. 152 (又以皇女为储两，虚行赦宥。上欺天地，下惑朝野). ↑ Mei (梅), Yi (毅) (2008). 華麗血時代：兩晉南北朝的另類歷史(下) [History of Jins and Northern and Southern Dynasties (II)] (in Chinese). Hyweb Technology Co. Ltd. p. 173. ISBN 9866410099 . Retrieved 2014-05-25. ↑ Book of Wei , vol. 13, "Biographies of Empresses" (荣遣骑拘送太后及幼主于河阴。太后对荣多所陈说，荣拂衣而起。太后及幼主并沉于河). ↑ Lily Xiao Hong Lee; A. D. Stefanowska; Sue Wiles, eds. (2007). Biographical Dictionary of Chinese Women: Antiquity Through Sui, 1600 B.C.E.-618 C.E. M.E. Sharpe Inc. p. 299. ISBN 978-0-7656-1750-7 . Retrieved 2013-11-20. 1 2 Keith McMahon (2013). Women Shall Not Rule: Imperial Wives and Concubines in China from Han to Liao. Rowman & Littlefield Publishers, Inc. p. 145. ISBN 978-1-4422-2290-8 . Retrieved 2013-11-20. ↑ Xie (谢), Zhiqiang (志强) (2013). 不可不知的万事由来 [The Origin of All Things You May Not Know] (in Chinese). Green Apple Data Center. p. 19. Retrieved 2014-05-25. ↑ Whiting, Marvin C. (2002). Imperial Chinese Military History: 8000 BC-1912 AD. Writers Club Press (iUniverse). pp. 235–236. ISBN 0595221343 . Retrieved 2014-03-10. ↑ 宋其蕤 (Song Qirui). "Chapter 4: 亡国艳后：胡灵皇后" [The Infamous Empress Dowager Hu]. 北魏女主论[Female Supremacy of Northern Wei] (in Chinese). 中国社会科学出版社 (China Social Sciences Press). ISBN 7-5004-5904-1. ↑ 成扬 (Cheng Yang) (1985-09-20). "中国历史上的第一个女皇帝" [First Empress regnant of China]. 历史知识 (Historical Knowledge). Chengdu, China. 1985 (5): 35. ↑ Cai Dongfan. 萧宝夤称尊叛命　尔朱荣抗表兴师 [Xiao Baoyin's rebellion and capture by Erzhu Rong]. 南北史演义 [Romance of the Northern and Southern Dynasties] (in Chinese). Bookfree.com.cn. Archived from the original on 2013-12-26. Retrieved 2013-11-17. 史海阳 (Shi Haiyang). "北魏宣武帝胡皇后" [Empress Hu, wife of Emperor Xuanwu of Northern Wei]. 中国皇后传[Biography of Empresses of China] (in Chinese). 中国人事出版社 (China Personnel Press). ISBN 7-80139-000-8.